Heather Dessinger 47 Comments This post contains affiliate links. Have you ever gathered plump, juicy berries into your apron and whisked them to the kitchen to make medicine, wine, or jam? Yeah, me neither, but I will! I’m no Julie Andrews and I don’t (usually) twirl and sing in my kitchen, but gathering food and medicine from my yard does make things feel a little more magical, and some singing may be involved. As I mentioned on Instagram a few days ago, my husband and I are preparing to plant an elderberry patch to go with the other culinary and medicinal plants that grow on our homestead. Like the common backyard weed I use to make our “first aid” ointment, elderberry has a variety of benefits and uses. For just .000001% more effort, you can transform your elderberry syrup into elderberry jam, or you can use the berries to make elderberry tea. I could go on and on, but what you really need to know is this. Word is getting out about elderberry, and that is AWESOME! Except when it’s not, because all of a sudden elderberry retailers everywhere are out-of-stock due to high demand. Yikes. Fortunately, elderberry bushes are both beautiful and easy to grow. Several of you asked for step-by-step instructions on the Instagram thread, so I put together this post for you. 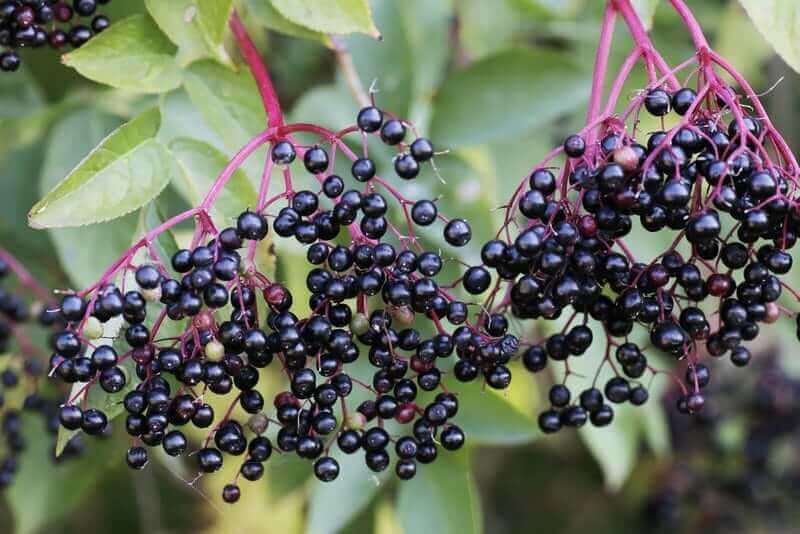 It covers the most common questions I’ve heard about growing elderberries, plus step-by-step instructions for growing elderberries from cuttings. Will Elderberry Thrive Where I Live? Elderberry bushes are very hardy and do well in zones 3-8. You can type in your zip code here to find out what zone you’re in. 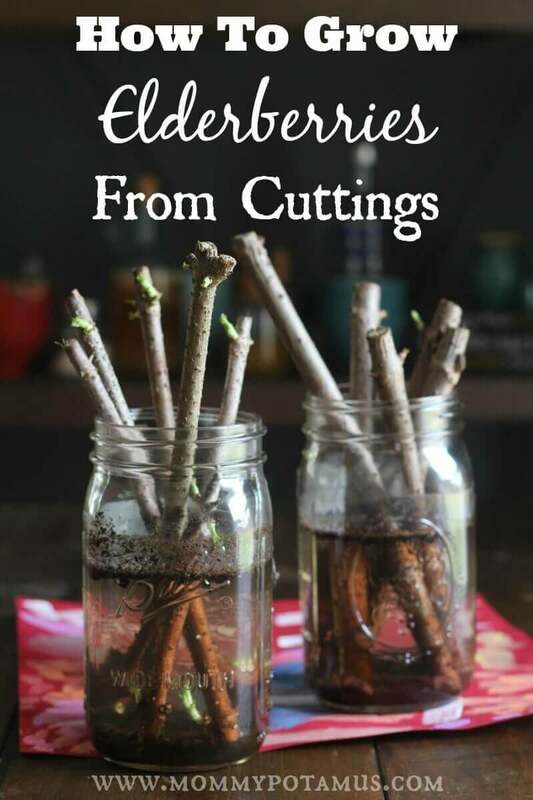 You have just a few more weeks to gather your cuttings, so it’s best to get started as soon as possible. How Long Does It Take To Get Berries? This summer you’ll get elderflowers, which you can use to make syrup, tea or lemonade. (See step five for details.) And by next summer you’ll have juicy elderberries to use in homemade pies, jam, jelly, wine, and syrup – hooray! If you know of a friend or neighbor that has one, ask them if you can get a clipping. If not, chances are good that if you ask around someone will know where to get one. You might post on Facebook to see if anyone in your extended community has a bush they’d be willing to let you take a clipping from. If you have difficulty finding elderberry bushes in your area, you can order from Norm’s Farms. My husband found Norm’s through his permaculture mentor, and ordered three different types of elderberry cuttings to maximize fruitfulness. According to this article, “Cross pollination is not required to produce fruit, but flowers that are cross-pollinated will produce larger fruit–it is beneficial to have two cultivars of elderberry in close proximity.” In other words, if you plant two different varieties within 60 feet of each other you increase the fruitfulness of both. Worried You Might Pick The Wrong Thing? When I first started looking for elderberries in the wild, I was terrified I’d confuse it with Pokeberry or Water Hemlock, which are poisonous. Fortunately, if you know what to check for they are VERY easy to tell apart. Here’s the difference between elderberry and water hemlock. And here’s the difference between elderberry and pokeberry. Still worried? Rodger from Norm’s farms gave me a tip that makes exposure to pokeberry even less of a concern. Apparently once a winter frost hits, pokeberry stems collapse and disintegrate. They’ll grow back later in the spring/summer, but for now they’re probably not even out. While the bush is dormant – usually January through March – use pruning shears to cut a 8-9 inch section of elderberry cane. (That’s the hard, woody stem I mentioned earlier.) You want the cut to be slanted to improve the canes ability to draw up moisture. There are two main ways to help your trimmings establish roots. Place your trimmings (cut side down) in a mason jar and add water until they are halfway submerged. Place the jar in a sunny area for 6-8 weeks, changing the water often. Spritz with water occasionally – elderberry bushes love a humid environment. Roots grown in water are more fragile than ones grown in soil, so wait until they look sturdy before transferring. When they’re ready and there is not risk of freezing temperatures, plant the elderberry bush into quality soil – the kind that you’d use in a vegetable garden – with good drainage. The trimmings will send out leaves and then grow roots – it can take six to twelve weeks to see significant root growth according to Rodger. Once it reaches the 6-8 week mark, gently tug on the cutting to assess root development. Once they’re well established and there is not risk of freezing temperatures, plant the elderberry cane (roots intact) into the soil. Should I Use A Root Stimulant? Most of the experts I’ve read or talked with say that a root stimulant is not necessary for elderberry bushes, but you can certainly use one to speed things up if you’d like. 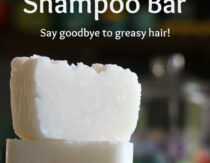 Most store-bought ones contain synthetic chemicals, but thanks to Hayley of Health Starts In The Kitchen I recently learned that willow water is a natural alternative. 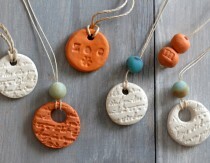 She doesn’t have a tutorial for making it on her site, but I did find one here. Elderberry bushes can grow to be 6-8 feet wide, so space your bushes out by 6-10 feet. Step 5: Make Elderflower Lemonade! Seriously, this is a step. During your elderberry bushes’ first season you want to pinch off the flowers so that the elderberry can devote it’s energy to developing a strong root system. Use them to make syrup, tea or lemonade. Next season you’ll be harvesting elderberries! What’s growing in your garden this year? Wonderful article! Was just thinking about planting these beauties on my property. After the cold germs this winter, I certainly want to be better prepared. Any idea if the critters go after these? Not knowing anything I cut some from a bush last summer about the time the we’re finished fruiting, put them in water and have three in pots to plant out once the weather warms up. They are very easy to start. Great post! Just ordered some cuttings from Norm’s 🙂 Looking forward to planting them! What other medicinal herbs are you planting in your garden? (My 12-year old wants to know. She wants to start a medicinal garden this spring, too :). Comfrey is an herb I have planted everywhere I have lived. Now that I live in a new place, it’s time to plant it again. It was the first herb my daughter got to know and love by using its whole fresh leaves as a poultice-type “bandage” on a sprained ankle, and on bruises. Now that she is grown she still uses it on herself and her own kids. She swears she can feel it working on whatever it is healing! 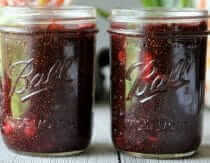 Elderberrys in a juice form will boost your immune system. Feel a cold coming on: Drink the juice to lessen the effects of the cold. I have deer in my yard often. They leave my elderberry bushes alone. Don’t forget to save some elderberry blossoms to dry. They make a lovely tea plus other home remedies. I also can my E. Juice. It does boost immune system but be aware it could also exacerbate an autoimmune illness. E.g.. arthritis, psoriasis. Do your research. I have sandy/gravel soil. I have never seen elderberries away from a ditch or creek. Can I still grow them? my bushes grow near backyard fence, never get watered. they are tough ! Here on the Olympic Peninsula in what is called the Olympic Rain Shadow with 18″ of rain annually and the soil is glacier sand and gravel. The Blue Elderberries grow very large and the best ones are the ones without additional water. The Red Elderberries like the moister soils. MICHAEL DEMARCO, where are you located? I am in Shelton wa!! I am looking for some elderberries too. small world indeed! I live in Tn. Our soil can be very gravelly. Mine are mostly on hillside areas. It’s pretty humid here in the summer so my bushes only get watered by the rain. I actually bought a Black elderberry plant this past fall and hope to plant it near my native elders, to maybe cross-pollinate for bigger berries! They grow inside our Forrest. Which variety did you pick from Norm’s? I live in Northeast Ohio and would like to grown elderberries for medicinal needs. Thanks! My E-berry bush already has some green on it. Does that mean it is too late to cut to share with friends? It’s worth a try. 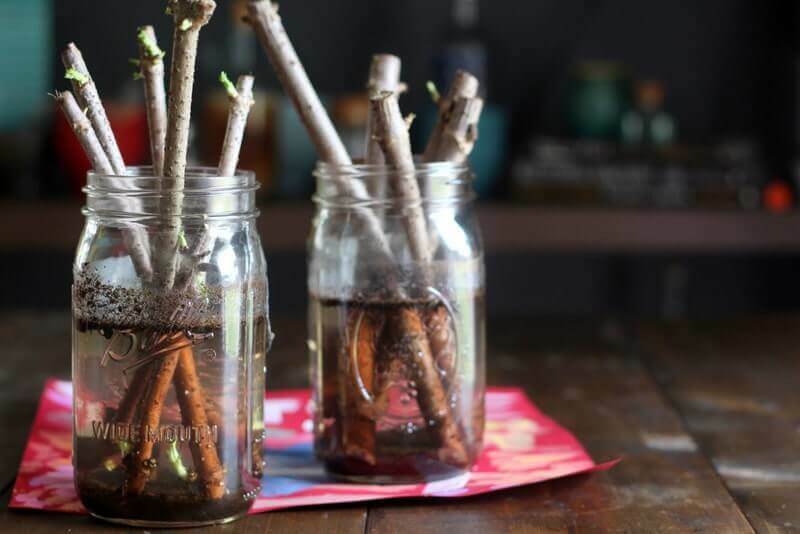 The cuttings will dry quicker with the leaves drawing moisture so keep them in the water and if you are inclined pull the green (gently – gently) off of half of them and see the difference it makes, if any. Good rooting! Thanks for the info. I have my cuttings in a jar in water to root it, but was wondering lately if they should be in sunlight or not. I have had elderberries several years….never thot about cuttings because they send up so many shoots (suckers) at the base. I just hack them off where they are connected to the “mother” and dig them out….not hard to do if you want to plant more in a row or area. If you leave the suckers alone they will grow and keep on making the original mother plant more bushy….I use them like any other fruit in pies, on ice cream, syrups, mix with other berries for jams or whatever you want to make with them. You do have to pick them before the birds get them….but we should share, right?! Do not expect to pick the whole cluster at once as some ripen faster than others on that cluster…so have to pick each by hand….takes time but worth it…. I picked my elderberries late this year and they are shriveled a bit and they smell a bit like they are fermenting. Are they still safe to make syrup from? I propagate about 1000 elderberry plants each year and donate them to fish & game departments. I use several methods 1) hardwood cuttings 2)softwood cuttings early in the fall and 3) Dig suckers in the fall. #3 is the most successful, with about a 95% success level. These I put into 5 Gallon pots and the cuttings go into 1 gallon pots. I started doing this after reading about the benefits to wildlife, in Bowhunter magazine. REMEMBER: The first year they sleep, second year they creep and third year they leap. Hey Bart, will you post instructions on the third method? Or a link to the article? I’d love to go get some this fall and have it in the ground but don’t know how it should be done….thank you so much for sharing your knowledge on here for those of us just learning ? Great article! One question; If this is done in winter, there is very little sun where I live in the winter. Your directions say to place the cuttings in sun. Will artificial light work or just near the window? Thanks for taking the time to educate and inspire people to produce their own food and medicines!!! I can’t wait to get some cuttings going! I live in the Oregon and don’t have access to a lot of willow to use for a rooting hormone, but recently discovered another tree that works as well. The link you gave for making willow water mentioned other trees in the same family. Cottonwoods are abundant in my neck of the woods and are apparently related to willow. I have been harvesting leaf buds for Balm of Gilead. According to my research, a small cottonwood branch in the water with your starts will do the trick nicely. Thank you for this wonderful site, I have learned so much! I am giving this a try. Thank you so much for the detailed instructions! I am going to share a link on my blog for this post. I think I have readers who would love to give this a try also. Does it grow in Florida or is it too hot. Can I cut branches in early fall then put in water for winter. I’m moving, need to take with me. Katie. Amazing post thank you so much! I’m sorry, I live in the west side of Michigan on the Lake Michigan shoreline. I’m not sure what to look for right now to go out and get clippings from a plant that is growing out in the wild. They are just about everywhere, but still I don’t want to get the wrong plants. Any suggestions? do I want to take a cutting that has some new leafing out? It is early March but in my area we have had an early spring and my elderberry bush is just starting to leaf out. 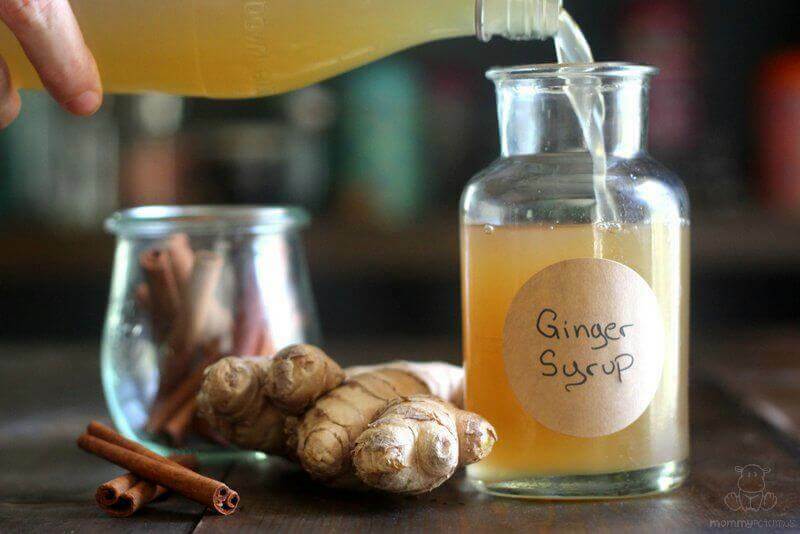 Mix with ginger and wow what flavor! Do you think these would do okay in pots for a few years? I know it’s a ridiculous question, but we move often for my husband’s job. As a 9 year grower of over an acre, an elderberry in a pot would do okay, but not great. The pot would need to be 3-5 gallons. An alternative would be to plant them where you are and plan on digging them when dormant and taking them with you. Again a 3-5 gallon pot would be needed. You would be cutting some roots to stuff it into pot but during dormant stage an elderberry plant can bounce back from that. 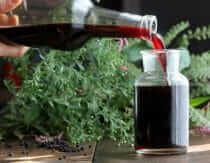 A healthy elderberry plant average harvest is 10-15 pounds, in a pot your average would drop to maybe 8-10. Thanks for this info! I’ll be looking to get more bushes going. We had one that was in the middle of a patch of other plants that have the cuckleburrs on them so we cut them all down to keep our horses out of them. I’ve just started learning about healing herbs and this one worked for me this year! I ordered a kit from Learning Herbs that had dried Elderberries in it. Made the Elderberry syrup and took it all during flu season, gave my daughter and family some and kept us flu-free for the most part. I fully intend on continuing this now that I know how to get more bushes! Great article thanks. My only question is you say this summer you’ll have flowers and next summer you’ll have berries….I’m pretty sure the flowers that come in spring turn into berries by autumn (if they aren’t picked as flowers) , could you just clarify what you meant please? Hi Zoe, I believe when I talked to an expert elderberry grower they mentioned that the bushes would flower in the first year but wouldn’t actually be mature enough to produce berries.